 No More Sleepless Nights! Vicks can Help you Get your ZZZs! There's nothing worse than sleepless nights. I hate it when I can't fall asleep. Sometimes I will lay in bed waiting for the sweet release of slumber that never arrives. In the past, I have taken prescription sleeping medication to combat my insomnia, but I became addicted to it, and that was a very difficult thing to overcome. Thankfully, I have discovered Vicks new ZzzQuil PURE Zzzs Melatonin Gummies, and PURE Zzzs Soothing Aromatherapy Balm! 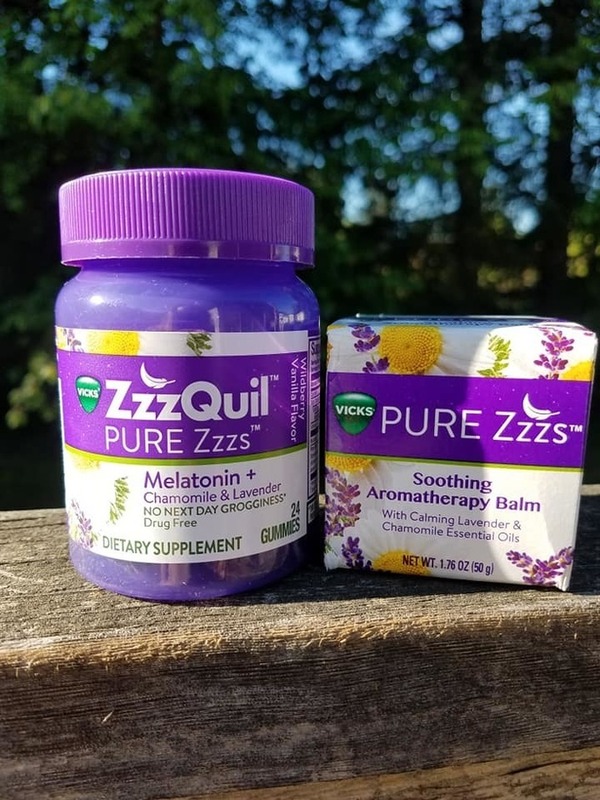 Vicks new ZzzQuil PURE Zzzs Melatonin Gummies are designed with a unique blend of Melatonin and botanicals like Lavender, Chamomile, Valerian Root, and Lemon Balm. They taste really good, and have just enough melatonin to help me to fall asleep and to wake up refreshed. They really work! I can even give them to my 11 year old son when he is having trouble getting sleepy at night. It takes me so long to fall asleep every single night. If I am not wearing ear plugs, then I lay awake listening to every creak the house makes. When I do wear ear plugs, they fall out or end up giving me really sore ear canals. I also used to take sleeping medication, but that stuff is bad in more ways than one. Sleep Therapy System: SOUND+SLEEP offers 64 distinct sound profiles scientifically engineered to promote a deeper sleep, relaxation and renewal. Sound+Sleep SE uses naturally recorded, high quality sounds that constantly loop, eliminating all audio repetition for real-world natural sound experiences while also masking all undated noise with the new, patented Adaptive mode. 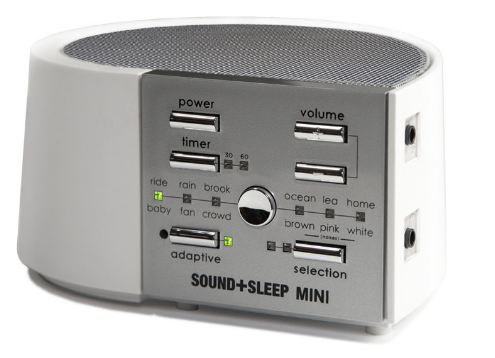 The Sound+Sleep MINI is the compact, battery-powered version of the Sound+Sleep sleep therapy machine. Just like the original, it provides you with realistic, natural sound environments and white, pink and brown noise programs so you can get a good night's rest. Having trouble falling asleep in unfamiliar environments, or are noisy hotel rooms an issue? Getting a good night's rest is one of the best ways to overcome jet lag, and what's why we created the Sound+Sleep MINI. At just 4.5 inches wide and 6 inches long, it easily fits into your luggage. It's powered by four included AA batteries, AC wall power, or a powered USB port. I absolutely love my Sound+Sleep therapy machine! I don't know how I ever slept without it. I use it every night and I sleep like a baby. It is so comforting to listen to these soothing sounds. Some of the Sound Stories include Ocean, Rain, Brook, Fireplace, Meadow, and Waterfalls. 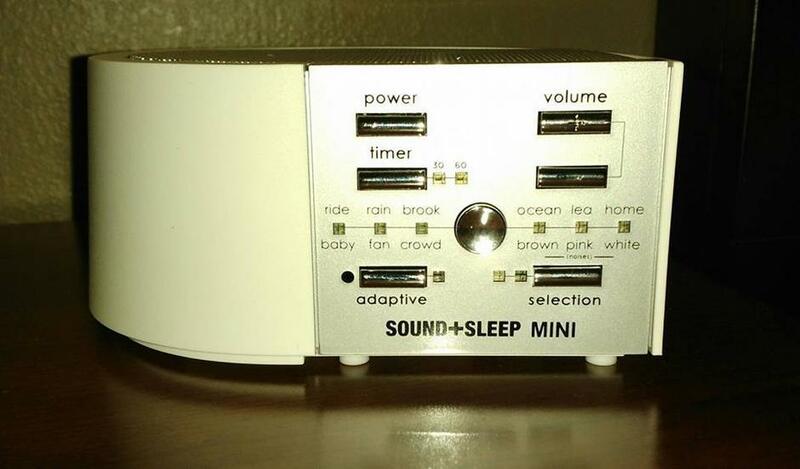 The MINI also includes 4 fan sounds & 12 white/pink/brown noises. I love how I can choose from such a vast variety of soothing sounds. For instance, I can choose not just beach sounds, but I have my choice between ocean waves and lapping water, gurgling water, seagulls, seals, buoy bells, and even foghorns. I love them all! What is really amazing about this machine is the fact that it will adjust whatever sound you are listening to, to mask any sounds that might wake me up. Does that make sense? This machine is my new best friend! 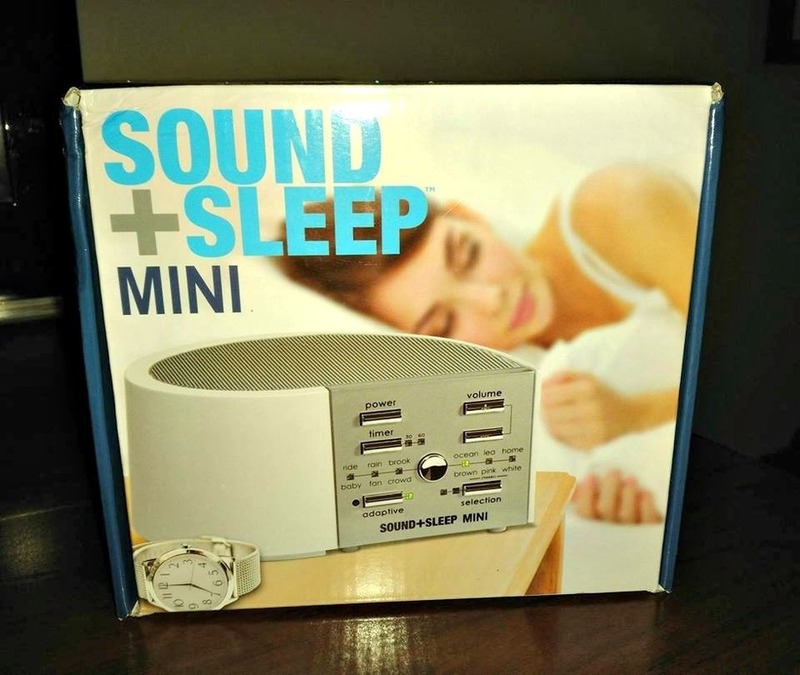 You can purchase this Sound+Sleep therapy machine on Amazon!  Better Sleep, Right This Way! Happy National Sleep Awareness Week! What’s better than a good night’s sleep? The benefits seem to be endless. Below some products and tips to help you have your best sleep ever. Molton Brown’s Ylang-Ylang Body Wash is blended with yuan zhi extract and Madagascan ylang-ylang oil to help you re-balance after a long day and bring harmony to tired minds. Use this during your nightly wash to create a relaxed mindset getting you ready for a peaceful sleep. Find it at moltonbrown.com for $30.00. 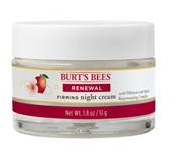 Burt’s Bees Renewal Firming Night Cream does exactly what you’d expect: makes you feel renewed! You’ll awake feeling that your face has been restored to its natural smooth and firm texture! Getting a good night’s sleep also depends on how you treat the inside of your body. Here are some tips suggested by Sophia Ruan Gushee, author of A to Z of D-Toxing: The Ultimate Guide to Reducing Our Toxic Exposures, on how to get your healthiest sleep. 1. Develop a routine: Sticking to a schedule will help you fall asleep faster. 2. Detox your bedroom: Turn WiFi and other devices off at night. If you can’t, then create as much distance as possible from WiFi routers and turn WiFi devices to airplane mode. Crack the windows open to allow toxic fumes to escape. 3. Avoid technology before bedtime: Turn off your TV or computer a few hours before sleeping as the blue light emitted from video displays can confuse your body clock and keep you awake. Disclaimer: I received samples in exchange for this post. Any opinions are my own. Drinks that Work for You, All Day Every Day. 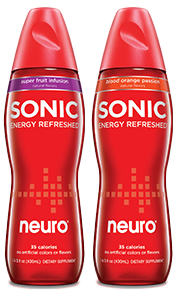 neuro drinks are dietary supplemental drinks that are fun and fashionable. They can be consumed from morning to night and provide essential functional support whenever... wherever. Stress, worry, fatigue, travel, work, family, children…every day dozens of demands impact us all. Add pollution, concerns about our food and water - and you have to wonder, “How are we supposed to stay healthy?” neuro can help! 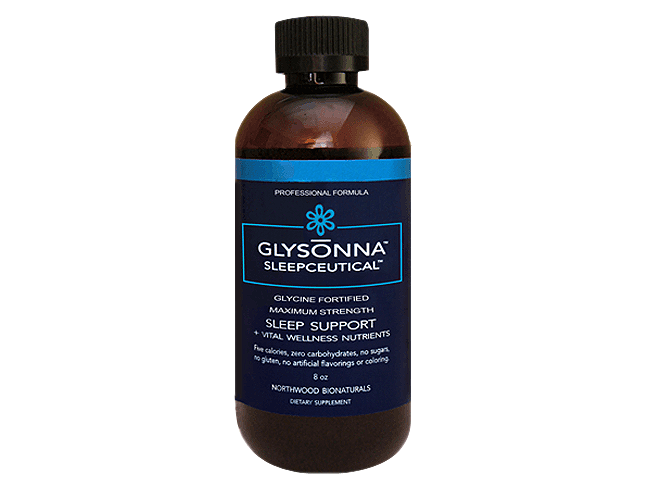 Our proven popular sleep drink, combines the effectiveness of melatonin with L-theanine, magnesium and 5-HTP. Drink some at bedtime and you’ll fall asleep quicker, have more uninterrupted sleep, allow your body to recuperate, and wake up rested and restored. Millions of customers have tried and relied on neuro SLEEP. My thoughts: Sometimes I have a hard time falling asleep and it usually takes me an hour or so to fully relax. 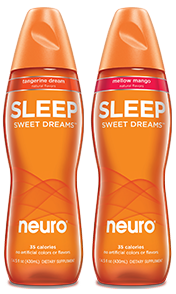 I drank a half a bottle of neuro SLEEP before bed, and ended up falling asleep much faster than normal. I had a wonderful night of peaceful slumber and felt nice and rested the next morning. I love the mango flavor! When you want to relax your mind and body, try neuro BLISS: a proprietary blend of L-theanine, choline alphoscerate, chamomile and phosphatidylsereine (SerinAid®). 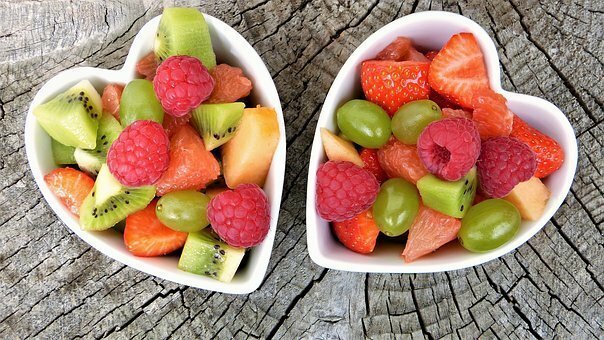 These ingredients work with your body’s natural chemistry to help you relax and boost your mood. It’s a delicious ticket to your happy place. 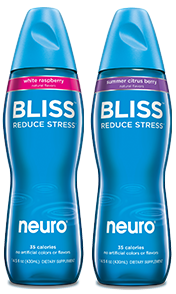 My thoughts: BLISS really helped to mellow me out. I drank a bottle recently on a day that I was stressed out about some bills I had to pay. I found that it helped me to focus and to stay calm. I was in a really good mood for the rest of the day. I need to stock up on these! Energy drinks are usually made by combining massive doses of caffeine, taurine, sugar and concoctions of B-vitamins. SONIC takes a different approach. Our controlled caffeine level is combined with L-theanine, choline alphoscerate and SerinAid® to help deliver energy and mental performance without the “jitters” or “the crash.” It’s the perfect early or late day drink and ideal when you need to focus. Many customers report they’ve made the switch to SONIC. My thoughts: I am usually terrified of energy drinks because the first and only time I tried one I threw up. I am always afraid that if I drink an energy drink that I will not be able to get to sleep that night. I did enjoy the taste of SONIC, but I was afraid to finish the bottle. Support a healthy immune system with 1000 IU of Vitamin D and our precise mixture of vitamins A, C, and E, plus Zinc and Selenium in a delicious Tangerine Citrus sparkling drink. DAILY can be enjoyed anytime - and multiple times daily. Defend yourself. My thoughts: DAILY tastes amazing and is definitely a drink I could enjoy every day! I certainly can use the benefits of the vitamins in this drink to help my immune system. I will be stocking up on these, that is for sure. 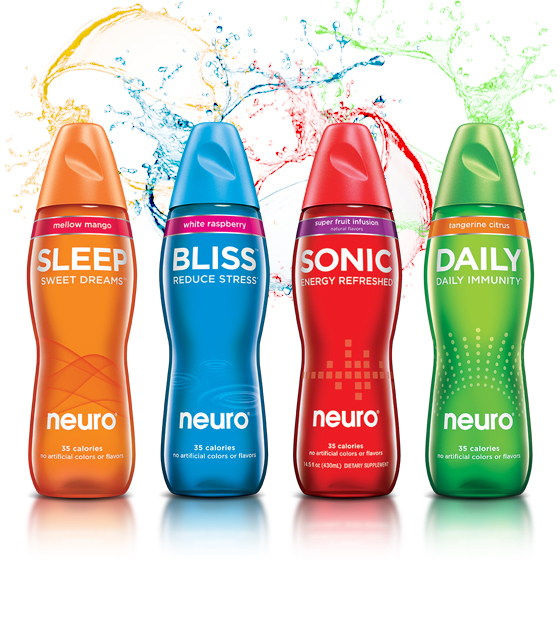 You can find Neuro drinks at Walmart! I have suffered from insomnia for about 17 years. it is not fun at all. I actually got hooked to some pretty bad prescription medications that I had a hard time coming off of. I became dependent on them to sleep. They were habit forming and made me lose my memory. I have been searching for a natural sleep aid, but to me, 'natural' seemed like a joke because my body was used to chemicals. Natural products never seemed to work for me. 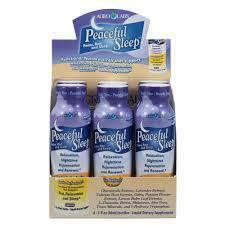 Then, I received a sample of AgroLabs™ Peaceful Sleep. I decided to give it a try. Right before I went to bed, I drank the 3 oz. 'shot' as directed and laid down, fully expecting to stay awake, staring at the ceiling. (This was at 9pm) The next thing I knew, I was sitting up in bed and it was light out. I could not believe I had actually slept all night without waking up. It was a peaceful, relaxing slumber, too. I felt so refreshed. Did I mention it tastes wonderful? I was afraid it would taste nasty, but Agro Labs Peaceful Sleep just tastes like a pleasantly flavored juice. Not bad at all! I gave a sample of Peaceful Sleep to a few of my family members who also suffered from insomnia, and each person was amazed at how well it worked, when all other products had failed them. Now I am hooked, but in a good, healthy way!